Decriminalizing Domestic Violence asks the crucial, yet often overlooked, question of why and how the criminal legal system became the primary response to intimate partner violence in the United States. It introduces readers, both new and well versed in the subject, to the ways in which the criminal legal system harms rather than helps those who are subjected to abuse and violence in their homes and communities, and shares how it drives, rather than deters, intimate partner violence. The book examines how social, legal, and financial resources are diverted into a criminal legal apparatus that is often unable to deliver justice or safety to victims or to prevent intimate partner violence in the first place. Envisioned for both courses and research topics in domestic violence, family violence, gender and law, and sociology of law, the book challenges readers to understand intimate partner violence not solely, or even primarily, as a criminal law concern but as an economic, public health, community, and human rights problem. It also argues that only by viewing intimate partner violence through these lenses can we develop a balanced policy agenda for addressing it. 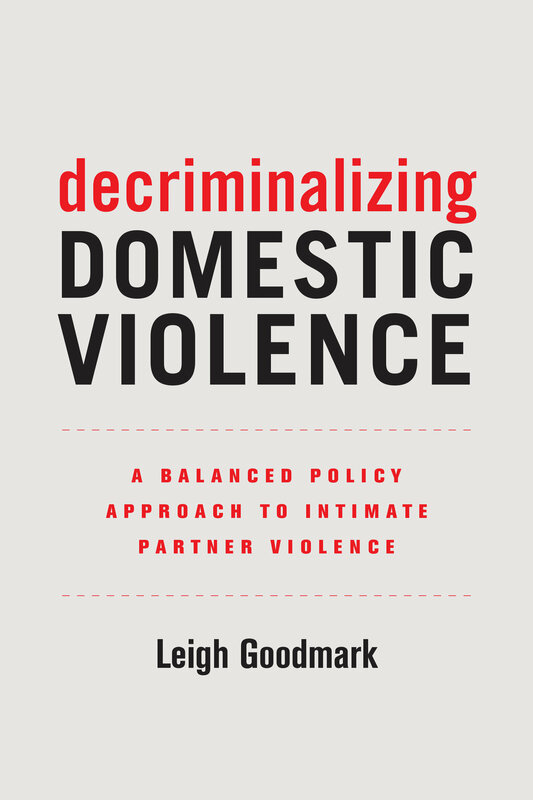 At a moment when we are examining our national addiction to punishment, Decriminalizing Domestic Violence offers a thoughtful, pragmatic roadmap to real reform. 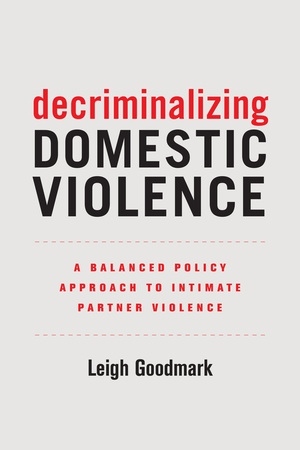 Leigh Goodmark is Professor of Law and Director of the Gender Violence Clinic at the University of Maryland Carey School of Law and the author of A Troubled Marriage: Domestic Violence and the Legal System. 1. A Criminal Justice Problem?